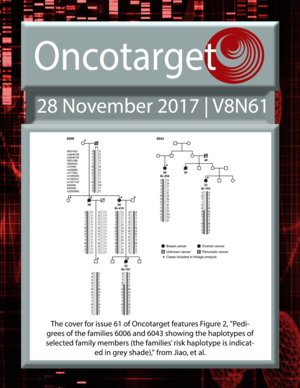 The cover for issue 61 of Oncotarget features Figure 2, "Pedigrees of the families 6006 and 6043 showing the haplotypes of selected family members (the families’ risk haplotype is indicated in grey shade)," from Jiao, et al. 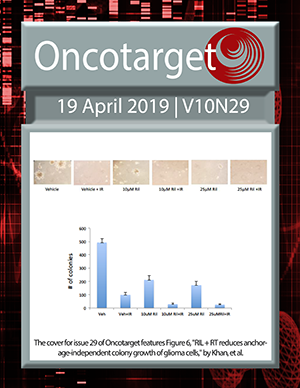 Therapy of polycythemia vera: is it time to change? Is there a difference in testosterone levels and its regulators in men carrying BRCA mutations?